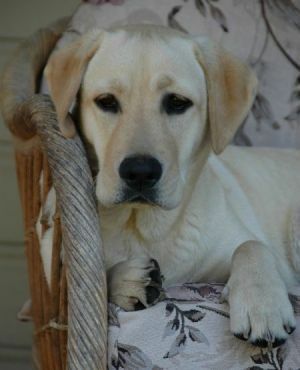 At loyal valley labradors, we are dedicated to producing top-quality Labrador Retrievers with excellent temperaments and soundness that make quality family companions, and are stunning in looks. Our labradors play a big part of our family and are much loved by our children. We breed Black, Yellow and Chocolate Labradors. We are located on the south coast of NSW. My husband has owned a labrador as a family pet since he was 2 years old, and we purchased our first labrador together just after we were married in early 1999, with our first litter arriving in 2001. From birth our pups are raised in a loving, family home environment where they are carefully socialized. Preliminary vaccinations and deworming are done prior to leaving our home. We microchip all our pups, and register them with canine control council nsw. All of our breeding age Labradors are certified for hips, elbows and eyes are either clear by parentage or have eyes tested yearly. If you are interested in one of our puppies please go to the upcoming litters page for more information-and contact me by phone or via contact page.